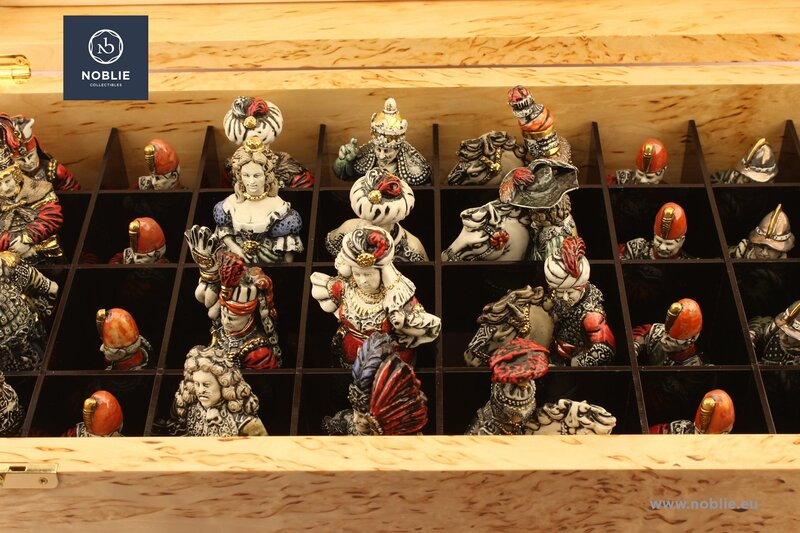 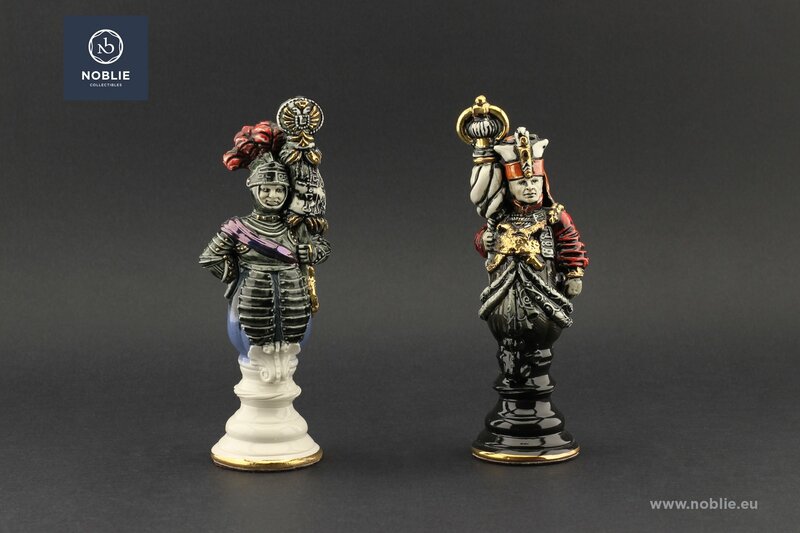 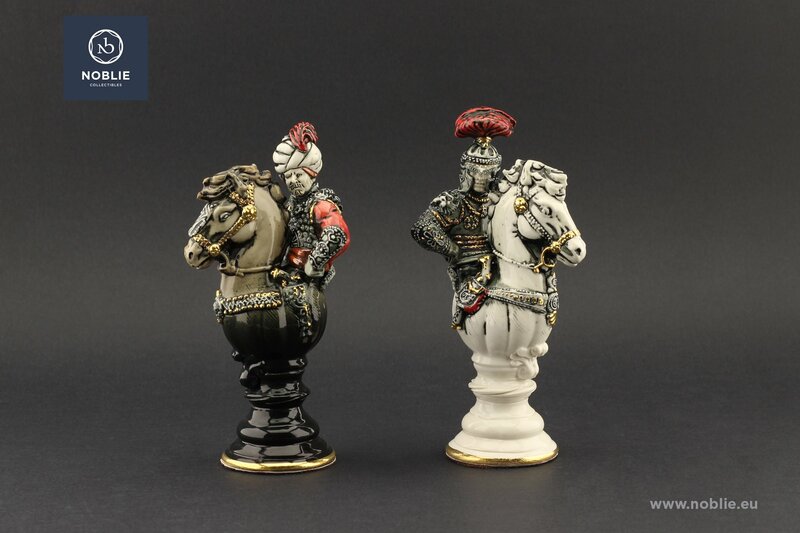 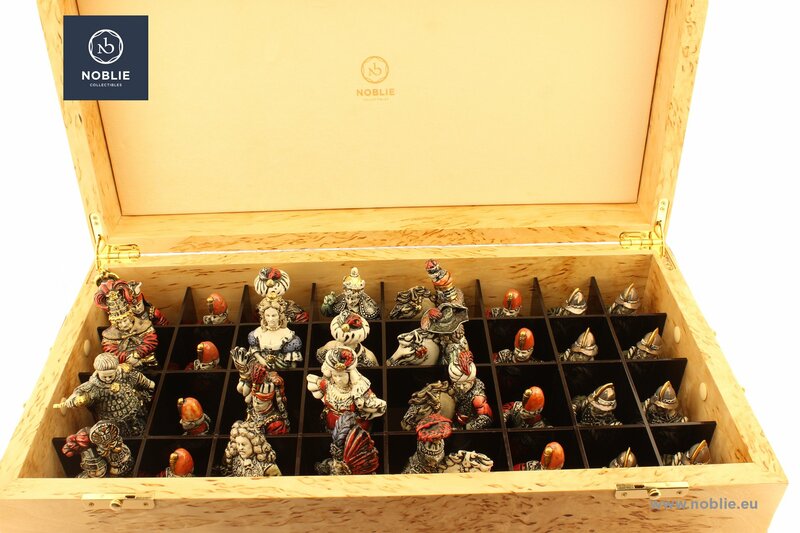 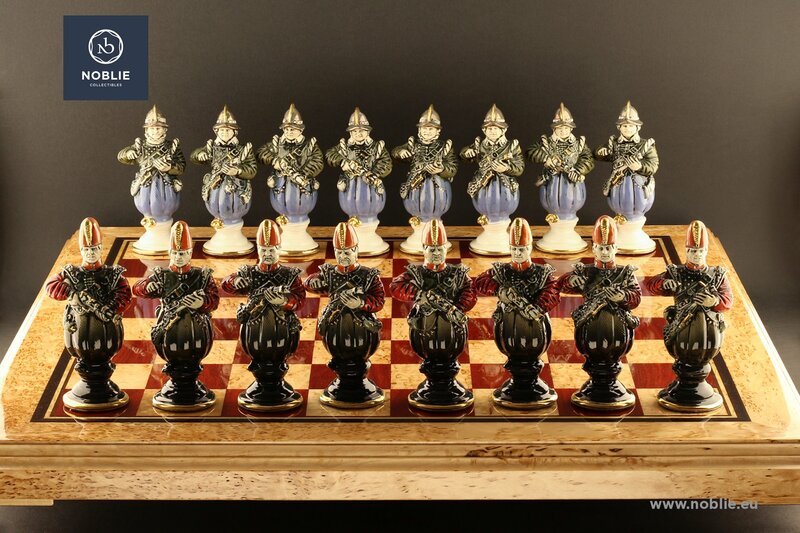 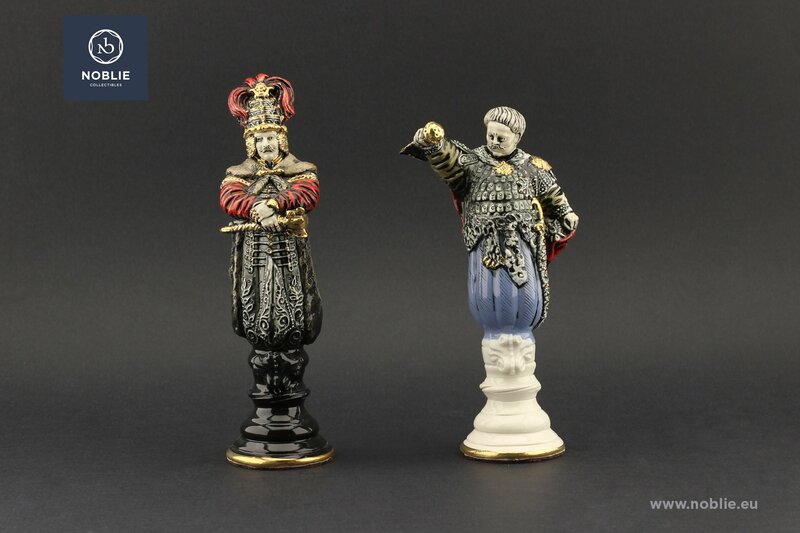 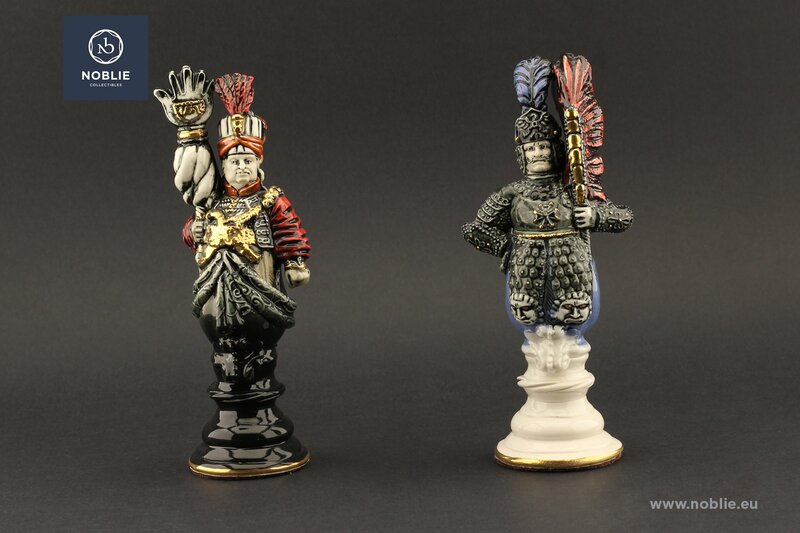 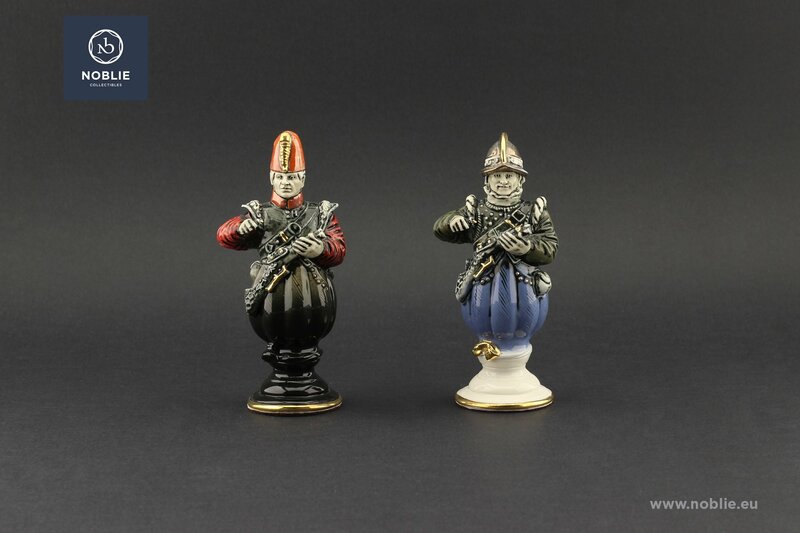 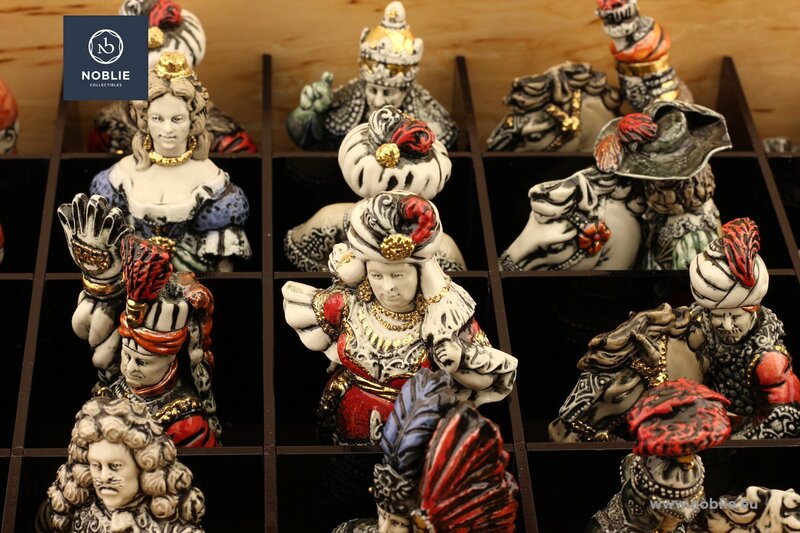 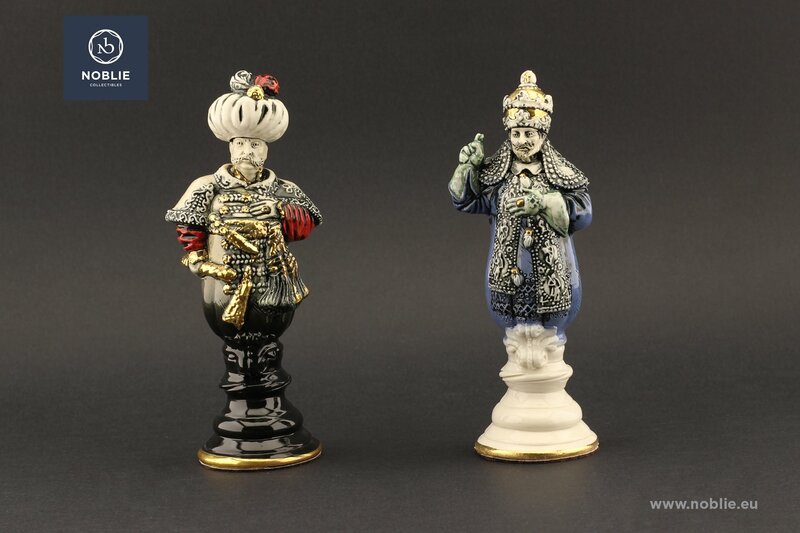 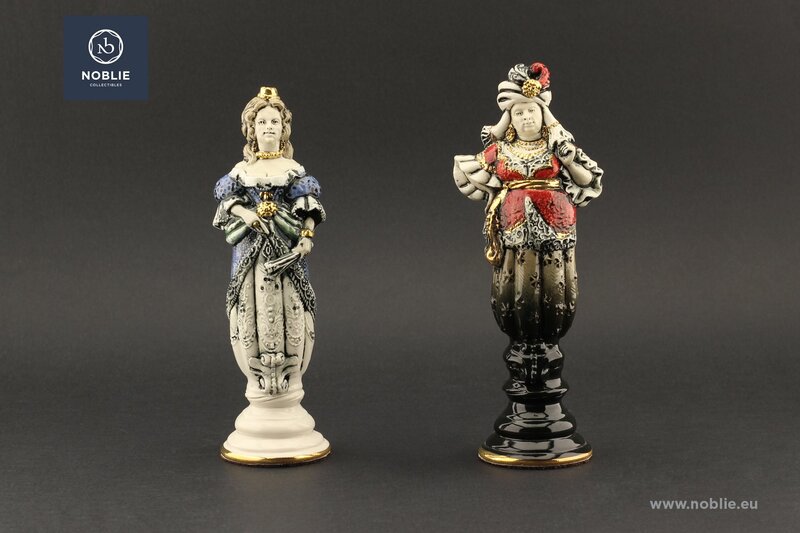 Entirely handmade porcelain collectible chess set. 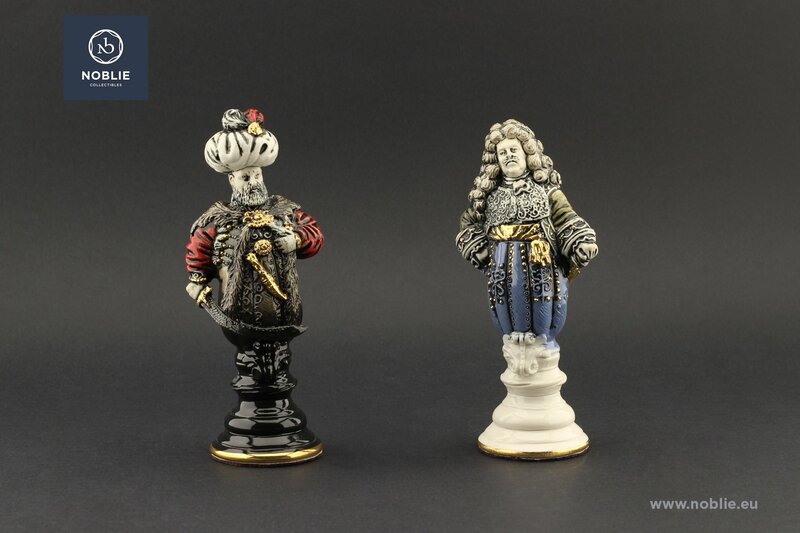 Figures with individual shape and face image. 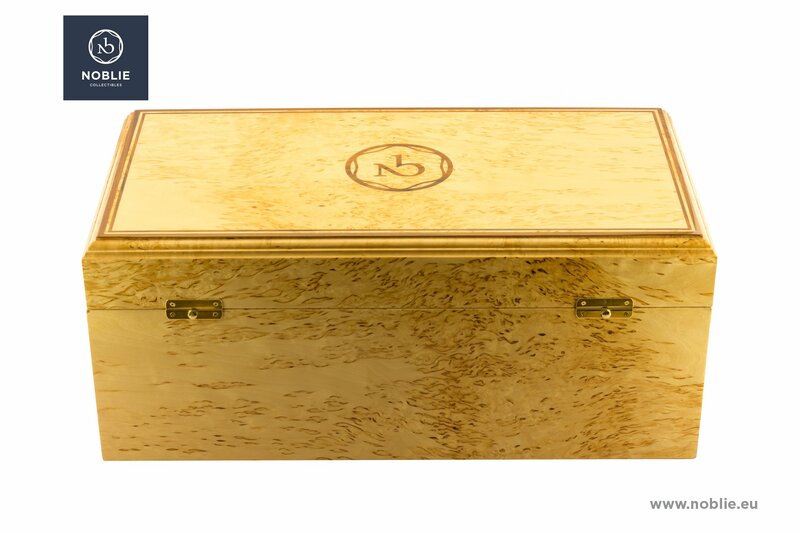 Artistically painted, with additional gilded adornment. 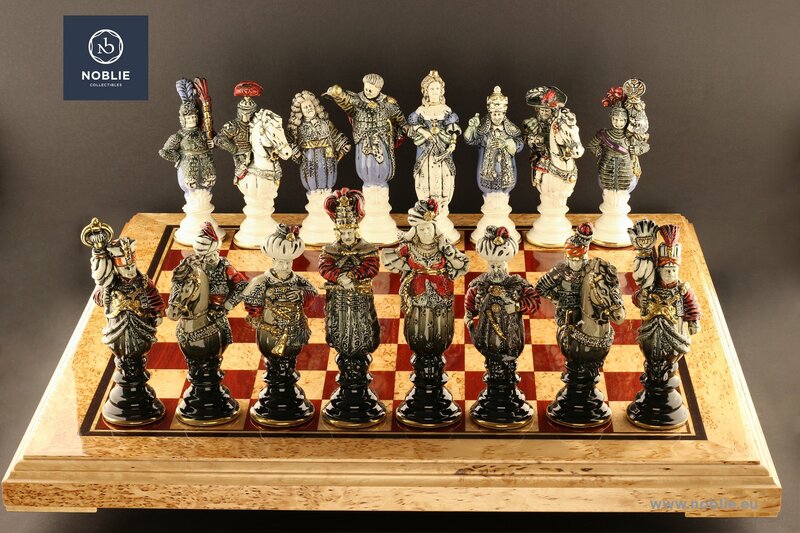 Handmade chessboard of Karelian birch. 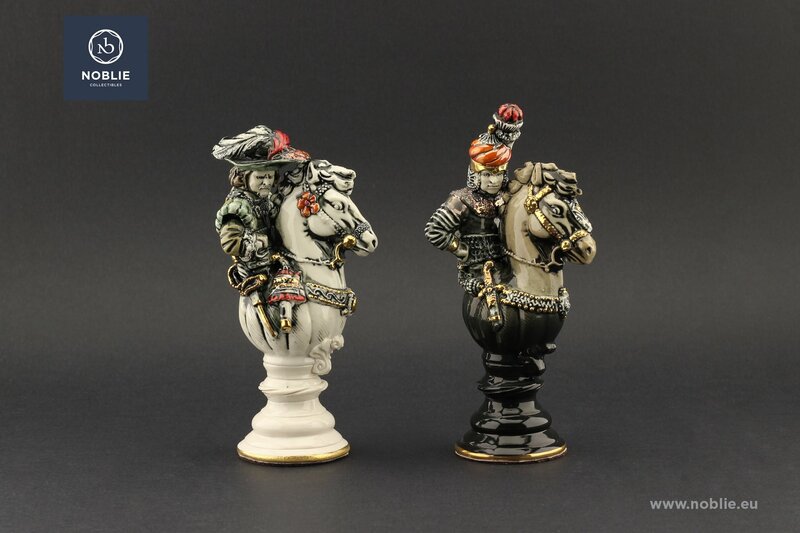 Multilayer polished.